Day 1: On arrival at Kigali International Airport, a representative from Gorilla Trek Africa Ltd will ready waiting to transfer you to Volcanoes national park. Dinner and overnight stay at Mountain Gorilla View Lodge(Luxury)/ 5 Volcanoes Lodge(Luxury), Da Vinci Lodge, Solution Gorilla Lodge, Le Bambou Gorilla Lodge(Deluxe)/Muhabura Hotel(Budget). Take an early morning breakfast and transfer to the park headquarters for a briefing from the ranger guides.The safari guide may help you to explain to the park rangers in case you have interest in a specific gorilla group. Normally allocation of the gorilla family is allocated at random at the time of the briefing. 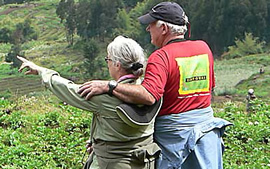 Begin trekking the mountain gorillas in the lush rainforest at the slopes of the Virungas. You will return from tracking by mid day. Relax at the Hotel, and later you may go for nature walk to Lake Ruhondo and Burera (Optional). Dinner and overnight at your Hotel (Day1). In the morning after your breakfast, you will drive back to the park headquarters to enjoy your second encounter with the gentle giants. 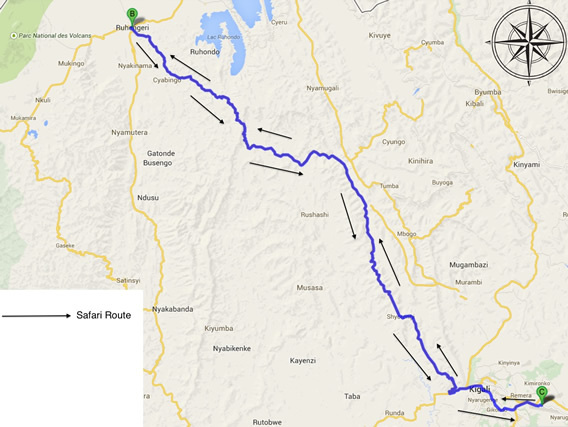 After tracking, you will return for lunch and rest or go for a cultural walk in the Banyarwanda Community. Dinner and overnight at your (Day 1). 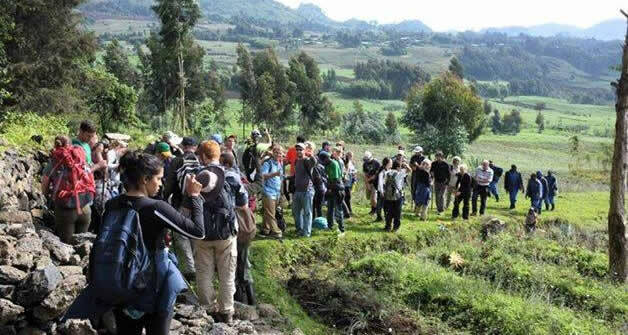 After a relaxed breakfast, you will either go to track the unique primates – golden monkeys, or visit Karisoke Research Centre and hike the tombs of our great primatologist. In the afternoon, drive back to Kigali for your scheduled flight back home. A 7 days Gorilla trekking in Volcanoes National Park,the home of mountain gorillas in Rwanda. This is the best trip for primates enthusiasts!